A couple of weeks ago, I was delighted to be invited to the launch of the new Cat S60 Smartphone, and even more excited to get to bring one home to try out with the kids for a few weeks. As well as featuring all the specifications you would expect, the rugged build of this new generation smartphone exceeds military specs, is the first smartphone with a built in thermal imaging technology, and is the world’s most waterproof phone – making it an amazing tool for so many people, and an absolute dream device for a blogging family with an obsession for wildlife and the local lake! We couldn’t wait to put it into Neigh Bridge Lake, and see whether we could capture any images under the water. 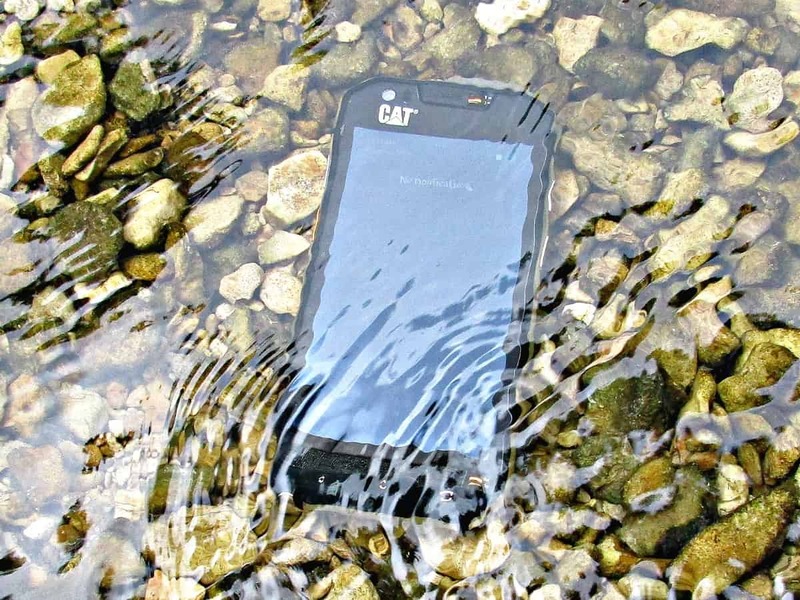 I must admit it was a little strange deliberately submerging a phone, most people I know live in dread of that happening to theirs, but the Cat S60, of course, is perfectly happy – much to kid’s delight, and the amazement of the guys who were fishing nearby. As you can see, the lake is teeming with fish, even in the shallows – originally a quarry, we know this lake is very deep in parts, who knows what is lurking in its depths (rumours include Pike big enough to take dogs, and whole cars!). We now hope to use the Cat S60 to capture some more underwater footage of the animals that live in the lake. We will be sharing some of the fun we have been having with the thermal imaging capabilities of the Cat S60 later in the week – another feature of this phone that has opened up a whole new world to us, and is unbelievably cool! Hi Sarah, our vet uses a CAT phone as she says they are the most robust phone she knows. I’m not sure I’d have been brave enough to submerge a phone in water though, but the fact it’s designed to take photographs and video under water opens up a whole new world of photography to some. Haha! My husband and daughter just went fishing for pike on Saturday. A phone like this would have been awesome to use. How cool that you got to test it! It’d be brilliant for a fishing trip – no worries with getting it wet! I’m so excited to see what you find and film! This is so cool! Its so exciting to be able to finally see whats in the lake, Gina – we’re having lots of fun! How much fun you must be having with this new device! We have a GoPro that we’ve used to film underwater and it’s so exciting to see what lurks below the surface.